Roscoe Dewayne Stidman, born October 28th, 1951 in Hot Springs, AR1, was a sports figure known for his 3'5" stature and promotional appearances for the Arkansas Travelers at Ray Winder Field. Stidman grew up in Hot Springs, AR and attended Lakeside High School in the city2. He later enrolled at Ouachita Baptist University in Arkadelphia, AR and became student manager of the football and baseball teams3. After graduating, he became a student pastor at a church in Hot Springs and furthered his education by studying at Southwestern Theological Seminary in Fort Worth, TX4. Stidman during his well-known at-bat in 1976. In early 1976, Bill Valentine, who had recently been hired as the Arkansas Travelers' new General Manager, stated in a press conference his intent to have a player shorter than Eddie Gaedel lead off for the Travelers on Opening Night5. Well known as the shortest player in major league history at 3'7", Gaedal had one at-bat with the St. Louis Browns in 1951. When Stidman heard about Valentine's desire to put on such a promotion, he introduce himself to Valentine and volunteered to be the Travelers' leadoff hitter on Opening Night. The original promotion occurred on April 20th, 1976 at Ray Winder Field. 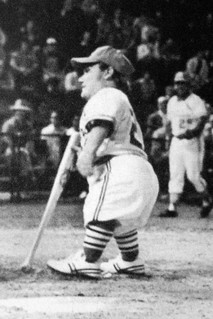 Stidman, two inches shorter than Gaedel appeared in the batter's box at the commencement of the game with umpire Dave Slickenmeyer behind homeplate4. Presumably, he was not on the official roster, and as such did not actually appear in the game6. The plan for the promotion was for Stidman and Slickenmeyer to engage in an argument in which Stidman would be ejected from the game5. In order to entice the bogus argument, a pitch was thrown to Stidman. After Stidman attempted to bunt the ball, Slickenmeyer called him out. The argument and supposed "ejection" ensued, and the sketch ended with a woman, playing the role of Stidman's wife, hitting Slickenmeyer with her purse. The promotion was well received, and Stidman afterward signed 1,200 autographs4. 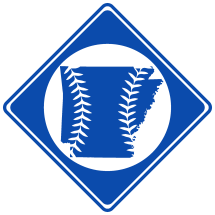 Nevertheless, the Travelers went on to lose to the Lafayette Drillers, 4-6. In 2006, Stidman was invited back to Ray Winder Field to reprise the promotion. Stidman, 54 at the time, was confined to a motorized scooter, but agreed to lead off for the Travelers during the team's last game at Ray Winder Field on September 3rd. The sketch was planned similar to the one 30 years earlier, though the argument instead began when Stidman was refused an at-bat by umpire Mark Lollo7. With the crowd chanting his name, Stidman was ejected by Lollo. The Travelers went on to win the game 7-3, defeating the Springfield Cardinals. 6. Needs research to confirm. If Stidman in fact appeared in the box score, he is perhaps the shortest professional baseball player in history.